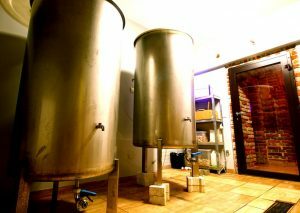 Krakow Breweries - Yellow Zebra Tours Blog: Bike tours, Segway Tours, Bike rental, City Tours and more! Krakow Breweries: Mmmmm….Beer in Krakow! After a hard day touring Krakow, you might like to cool off with a refreshing drink. While it is true that vodka is Poland’s national drink, they are not shy offering equally tempting alternatives. Finding a bar in Krakow is not a difficult thing, most streets in the city center as well as the Jewish Quarter are lined with them. However, finding a true brewery does require a bit of investigation. 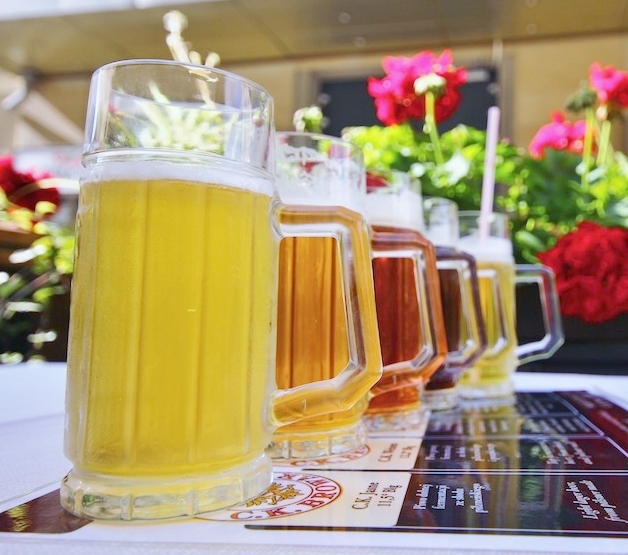 For all you beer lovers out there, let me take you around some Krakow breweries. You’ll enjoy them for their great tasting brews of course, but also for their atmosphere and the promise of a good night out. The well known Tea Time Brewpub opened its doors just over 2 years ago in April 2014. Quickly becoming a success due to its variety of home brewed real ales, the British pub has a mixed clientèle of Polish locals, ex-pats and travelers wanting a little taste of home. Tea Time’s is the only real ale pub in Krakow so its standards are high. With quality ale brewed on site, they offer a wide selection of hand pulled real ales, alongside their special monthly ales. Located at Dietla 1, it is a good option for a light refreshment after a visit round Wawel Castle or as the last stop after a walk by the riverside. There is an international pub quiz in English Every Monday, for anyone willing to test their general knowledge. 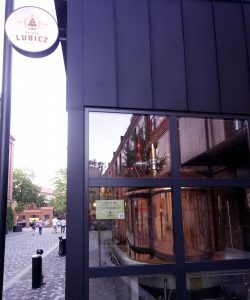 The hard-to pronounce Lubicz Browar is located a few minutes walk off the main square on Lubicz Street. Known to serve unpasteurized and unfiltered beer, the brewery offers two main options; lager or a wheat beer. Utilising its large space, Lubicz Browar also hosts a restaurant, ideal for those with some extra zloty lying around. So for those interested in a bit of Brewing knowledge, tours of the brewery can be organized. Found at the Teatr Bagatela tram stop, down a set of stairs and into a bar with a nice rustic feel, is CK Browar. Serving 5 tasty beers in sizes from 0.3l to a 5 litre giraffe, CK Browar is a favorite among Krakow Breweries. Always busy, it does mean that finding a table or getting any sort of service is a bit tricky. If you do have the patience to wait though, the beer is well worth it. If choosing one is too difficult, they have a taster offer, with five beers served in miniature mugs. There’s an assortment of dishes at various prices for all budgets. So the bar can also appease your appetite as well as quench your thirst. Whichever establishment you do choose, we recommend you remember these two words: “na zdrowie”, the Polish equivalent of “cheers”.